1. Don’t trim the fat. 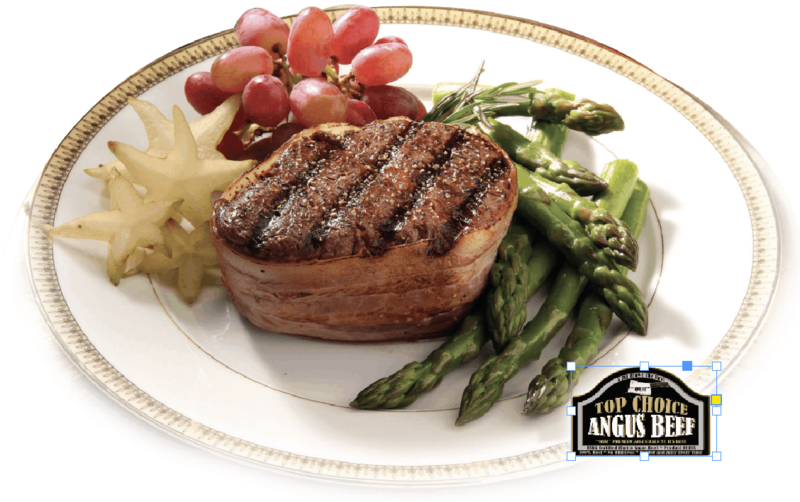 According to experts, the outer fat layer will help the steak retain its shape and enhance its flavor. 2. 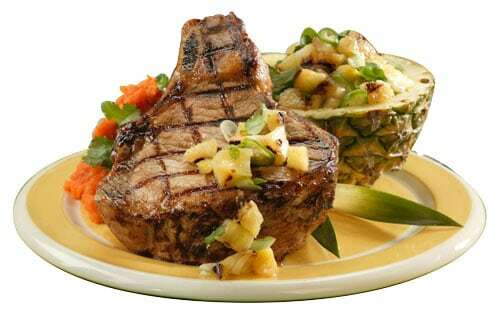 Steaks cook best when they are kept at room temperature before grilling. Steaks at room temperature will absorb seasoning better and cook faster. 3. Oil the grilling rack. Apply a light coat of oil on the grilling rack before placing the steak on it. The oil will prevent steaks from sticking. 4. Let the steak rest for a few minutes before cutting it. This will allow juices to flow out from the center, enhancing flavor and tenderizing the meat. 5. Lose the fork. Handle steak with tongs or a spatula. A fork will cause the juices to leak out. 6. Don’t butcher the steak with a knife. It’s tempting to cut into a steak to determine whether it’s done, but this will leak out the flavor. Instead, refer to this grilling chart for cooking guidelines. 100% all natural, minimally processed, no solution added and hormone & antibiotic free. The freshest, leanest, best-tasting pork available. That's our guarantee when you buy "Our" Top Choice Premium Pork. You'll be serving the sagest, most wholesome, best-tasting pork available. We hand cut our premium pork every day fresh in the store. 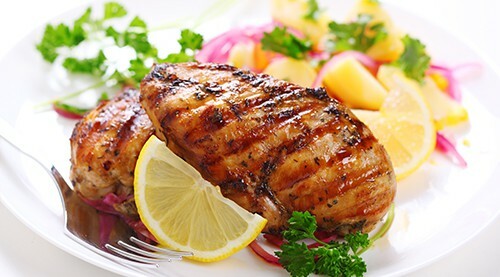 For farm-fresh goodness every time, pick Tyson Fresh Chicken. This versatile, all-natural product is made with no added hormones or steroids, and is sure to be a tasty choice every time.